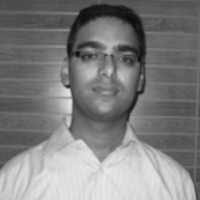 Nikhil Mittal is a hacker, info sec researcher and enthusiast. His area of interest includes penetration testing, attack research, defence strategies and post exploitation research. He has many years of experience in Penetration Testing of many Government Organizations of India and other global corporate giants. He specializes in assessing security risks at secure environments which require novel attack vectors and ""out of the box"" approach. He has worked extensively on using HID in Penetration Tests and PowerShell for post exploitation. He is creator of Kautilya, a toolkit which makes it easy to use Teensy in penetration tests and Nishang, a post exploitation framework in powershell. In his free time, Nikhil likes to scan full IP ranges of countries for specific vulnerabilities, does some vulnerability research and works on his projects. He has spoken/trained at conferences like BlackHat USA, BlackHat Europe, RSA China, Troopers, PHDays, BlackHat Abu Dhabi, Hackfest and more.